Cambridge University Press, 9780521458368, 276pp. 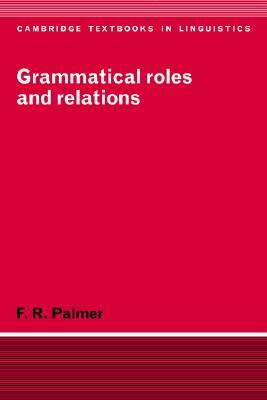 Frank Palmer's new book is a typological survey of grammatical roles, such as Agent, Patient, and Beneficiary, as well as grammatical relations, such as Subject, (Direct) Object and Indirect Object, which are familiar concepts in traditional grammars. A great wealth of examples is used to show that the grammatical systems of the familiar European languages are far from typical of many of the world's languages. Grammatical Roles and Relations will be welcomed by all those interested in language typology.